As with other things in life, before we can focus on where we are headed, we must first look at where we’ve been. 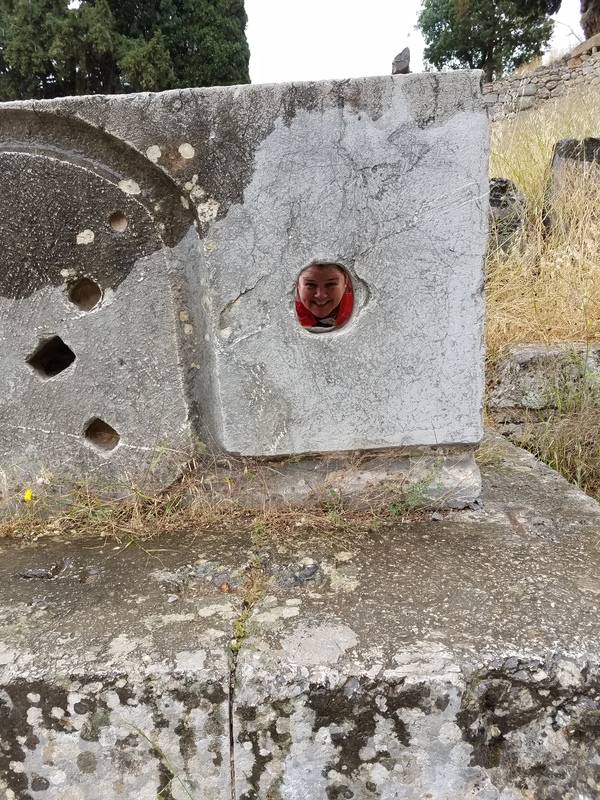 For the first two days of our journey into the world of Saint Paul, we spent time in museums learning about the history of the region (Greece) before Paul’s time. 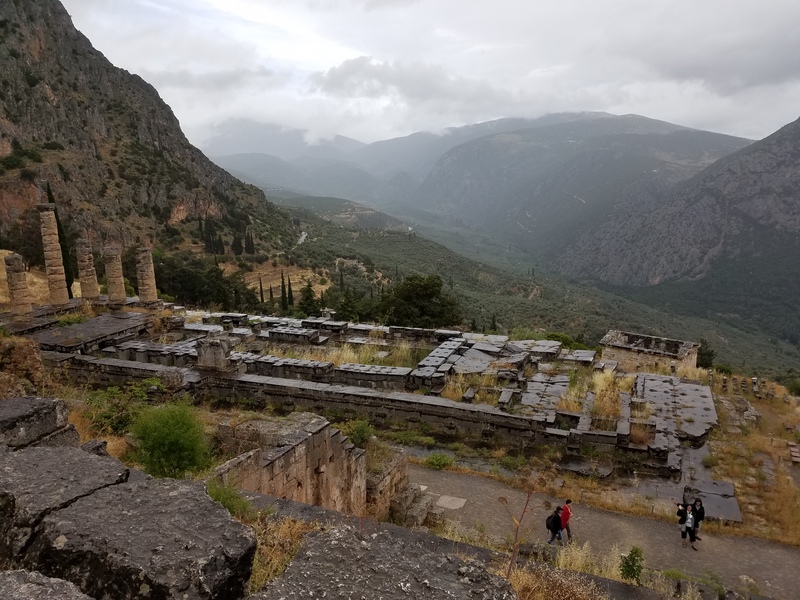 We spent Saturday in the National Archeological Museum and then Sunday afternoon in Delphi at the Temple of Apollo. I begin to see the difference between eras, though I still can’t tell you the names of them. I think I may have the “Hellenistic” period down now in addition to the Roman, thanks to Greece. 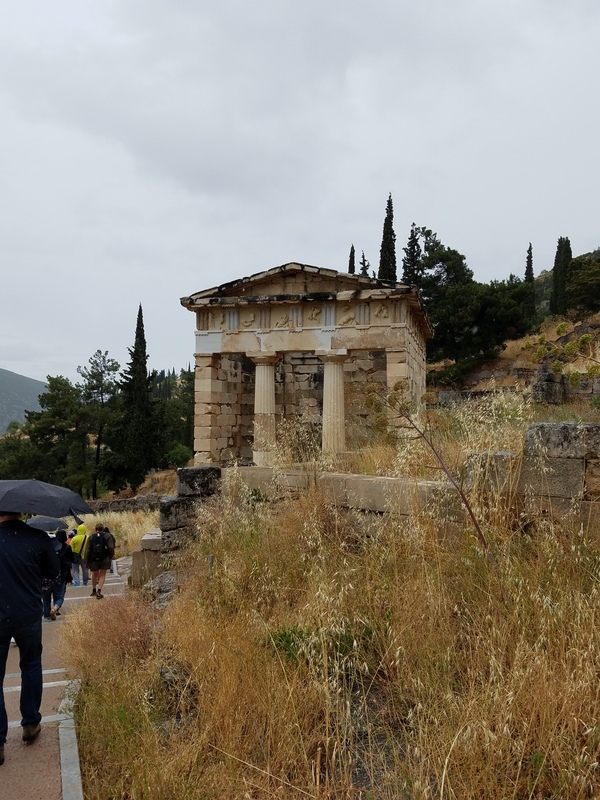 The Temple at Delphi, high in the mountains, capped our pre-Paul time. for the plunder, to give thanks to Apollo for their survival and defeat of the enemy. Since, clearly, Apollo favored them, they regularly asked Apollo’s oracle for answers to their questions about life. I look around today and see people trying to do the same things: attempting to provide for and protect their families, looking for answers, and giving thanks. Saint Paul is among those who showed us that grace is available to each of us through Christ. Keeping you in my prayers! Excited to hear more about your journey! Keep your flashlight handy!